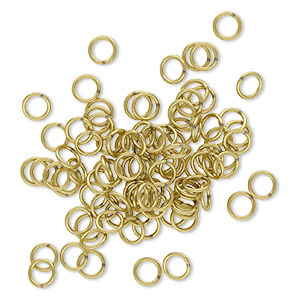 Jump ring, brass, 5.5mm soldered round, 4mm inside diameter, 20 gauge. Sold per pkg of 100. Item Number: H20-8962FD Have a question about this item? 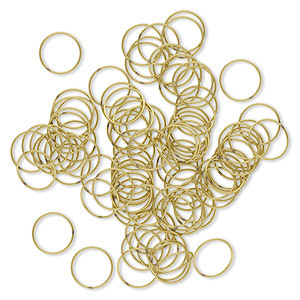 Connect your design with brass jump rings for a stylish piece that's all the rage. Mix with gemstones or pearls, charms or crystals. Jump ring size, gauge and inside diameter are approximate. Since solder is a different color, it will show a visible line. As with all brass, a natural patina may occur over time, adding an antique look. Jump ring, brass, 5.5mm round, 4mm inside diameter, 20 gauge. Sold per pkg of 100. Jump ring, brass, 18mm soldered round, 16.4mm inside diameter, 20 gauge. Sold per pkg of 100. 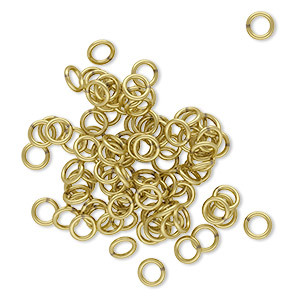 Jump ring, brass, 8mm soldered round, 6.4mm inside diameter, 20 gauge. Sold per pkg of 100. 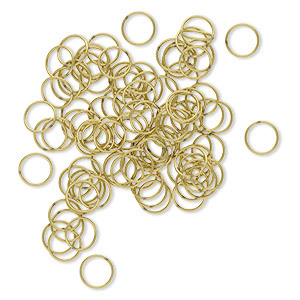 Jump ring, brass, 3mm soldered round, 1.5mm inside diameter, 20 gauge. Sold per pkg of 100. 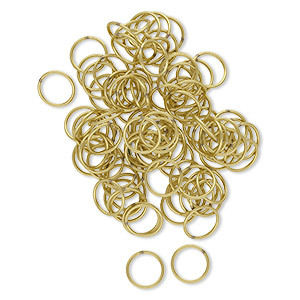 Jump ring, brass, 10mm soldered round, 8.4mm inside diameter, 20 gauge. Sold per pkg of 100. 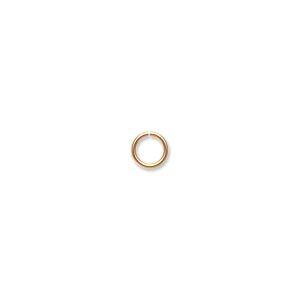 Jump ring, brass, 4.5mm soldered round, 2.9mm inside diameter, 20 gauge. Sold per pkg of 100. 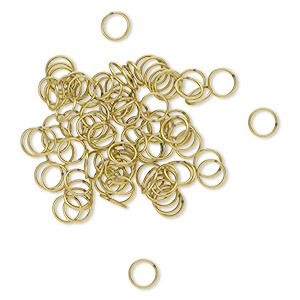 Jump ring, brass, 9mm soldered round, 7.5mm inside diameter, 20 gauge. Sold per pkg of 100. 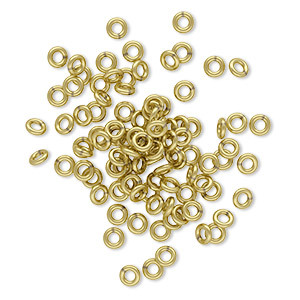 Jump ring, imitation nickel-plated brass, 5.5mm round, 4mm inside diameter, 20 gauge. Sold per pkg of 100.